The Royal Australian Air Force’s new PC-21 pilot training system has been declared a significant leap forward in pilot training by Minister for Defence Personnel Dan Tehan. Minister Tehan and the member for Gippsland Darren Chester previewed the new PC-21 fixed-wing training aircraft at the Avalon International Airshow last week. The aircraft are expected to commence flying operations at RAAF Base East Sale in mid-2017. The RAAF will also base five of its seven PS-21 simulator flight training system devices and associated facilities infrastructure at East Sale. Minister Tehan congratulated industry partners Lockheed Martin Australia, Pilatus and Hawker Pacific, and the new aircrew training project office for their work on the project. "This new training system will train more people, faster, and to a higher standard than our current aircraft," Minister Tehan said. "Our RAAF pilots are among the best in the world, and the government’s investment in the PC-21 system is part of our commitment to continue investing in producing highly skilled and talented Australian Defence Force personnel." Chester said he was proud of the role his electorate played in the training of Australia’s pilots. "We look forward to taking delivery in the not too distant future," Chester said. "RAAF East Sale is a valuable member of our community and we look forward to producing a generation of pilots trained on the new system." The Chief of the Air Force, Air Marshal Leo Davies, said aircraft was only part of the story. "We will be able to prepare our students better for their future flying careers with the highly complex mission and system training required to operate our modern aircraft," AIRMSHL Davies said. 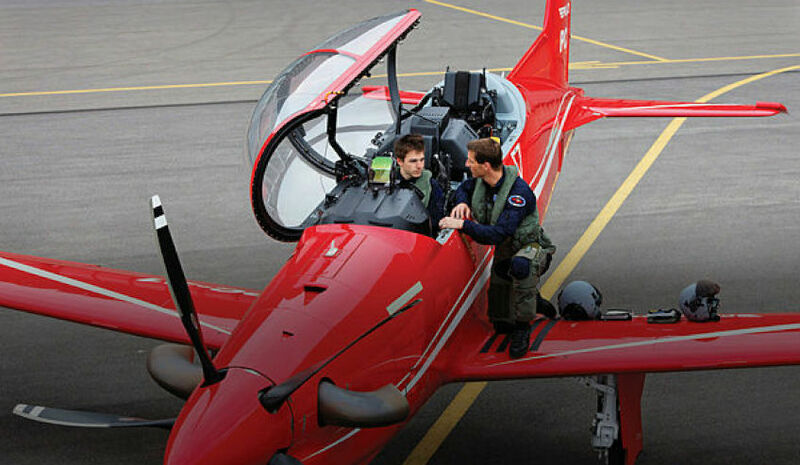 "Air Force is planning to commence PC-21-based training of undergraduate students in pilots’ course and flying instructors’ course in early 2019."